PUBLISHER : Jufic Books An Imprint of Leadstart Publishing Pvt. Ltd.
“Parshuraman Joshi, 27, handsome, Hindu-Brahmin, IT Professional, settled in Canada, earns a high-figure salary. Born in Garian, Libya into a traditional Hindu Punjabi family Vani was brought up in Chandigarh a city famed for its educational institutions. A Masters in Economics Vani has also undertaken a programme in Mass Communications which according to her set the foundation for a career in business journalism with the leaders in the field i.e. ‘The Times of India’ and ‘The Financial Express’. In 2004 Vani tried her hand at writing a novel but later gave it up to pursue an MBA degree from Kingston University, London. However her dreams to make it to Deloittes, McKinseys, etc were shattered with the onset of the global recession immediately on her stepping out from Kingston University. This I believe set the foundation for ‘The Recession Groom’. An avid reader, Vani dreams of having a library of her own “something of the sort that old Bilbo Baggins had in his hobbit hole”. A student of Bharatnatyam an ancient Indian classical dance form, Vani enjoys performing on stage. 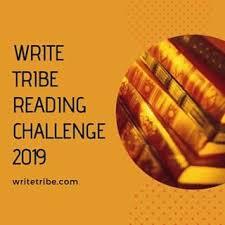 At present she is working on her second novel which according to her is the sequel to the first one. Vani also blogs for ‘The Huffington Post’. Storyline: Interesting, realistic, engaging and entertaining. The book delves into the institution of marriage in the Indian context where the family plays a major role in hunting for a prospective bride/ groom for an eligible bachelor/ spinster in the family and why not after all marriage as per Indian belief is one that brings not two people but two families together. 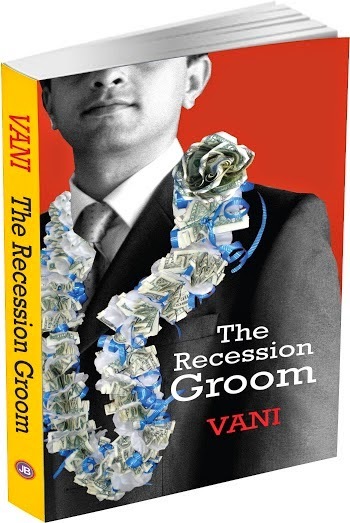 So here in ‘The Recession Groom’ we have an eligible bachelor in the protagonist Parshuraman Joshi a successful IT professional employed with a multinational company in Toronto, Canada. Flooded with proposals, his family especially his bossy sister Ragini and an equally bossy aunt Parvati are out to ‘settle’ him. The race between the two, the calls and interviews with the prospective father-in-laws are all hilarious and believable. The author has beautifully put across their anxiety and desires in this book of 295 pages. She has also captured the trauma of the protagonist on being laid off as a result of the recession and having his marriage cancelled at the last minute perfectly. One can easily relate to each and every situation and sequence laid out in the book. The story also brings out the strength of the Indian way of life i.e. its close knit family, how they get together in times of happiness as well as trouble supporting each other being each others strength, how members try to shield the others from their own worry and pain and put up a brave front in the face of adversities. There are some twists and turns in the story but they go down well with the reader and make the book interesting. Characterization : The characters are well etched with all their imperfections. One can easily relate to them, their emotions, ambitions and frustrations. The bossy and enthusiastic Ragini out to find the best match for her brother and the nosy, talkative, bossy and fussy Aunt Parvati wishing the best for her nephew are not new to us. They are very much a part of the Indian family structure. The witty, loving grandmother (Nani) weaves well into the family fabric. Gone are the days when Grandma’s were stern and aloof. Today they are more of friends to the grandchildren in fact it would not be amiss to say that they are closer to their grandchildren than to their children after all “asal se zyada sood pyara hota hai” (Interest amount is dearer than the principal amount). This being a contemporary novel the characterization of Nani is just right. Other characters too like Uncle Ravi, Tia, Tara etc. who pop up off and on in the story, are portrayed perfectly. Their character, mannerisms, etc. are predictable. Language and pace: Language is crisp and lucid. The flow, style and pace are perfect. There is not a patch where you feel the story slip. The end: Interesting. Yes somewhere at the back of my mind I believed it would end that way but then the twist just before the same, was not what I had expected. In fact I’d say, it added a bit of spice to the story. Recommendation & Rating: A great read I’ll give this book 4 on a scale of 5. Do let me know you’ve been here. Leave your views/ suggestions in the comment box below.